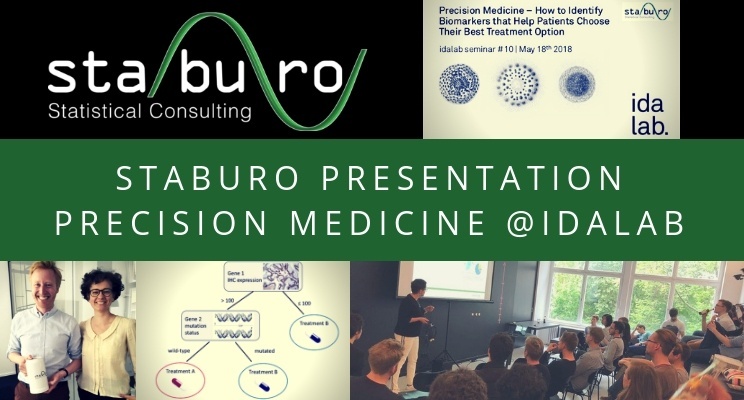 Dr. Nicole Krämer, project leader precision medicine and biomarkers, was invited to talk about precision medicine at the idalab seminar. In the talk, she discussed how data science may identify biomarkers that help patients choose their best treatment option. After the talk, there was the opportunity to get together with the audience and discuss this exciting topic.